The year is 1690. Isaac Collins is sailing to America to establish a new life for his family. 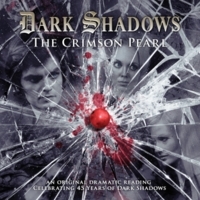 Suddenly, during a strange and unnatural blizzard, he discovers a single blood-red pearl. A pearl that seems to sing to him… The pearl will be going on a journey. Passed down through generations bringing luck both good and bad. But what does it want? Why is its journey so linked to the Collins family? And who will ultimately take ownership of the crimson pearl?